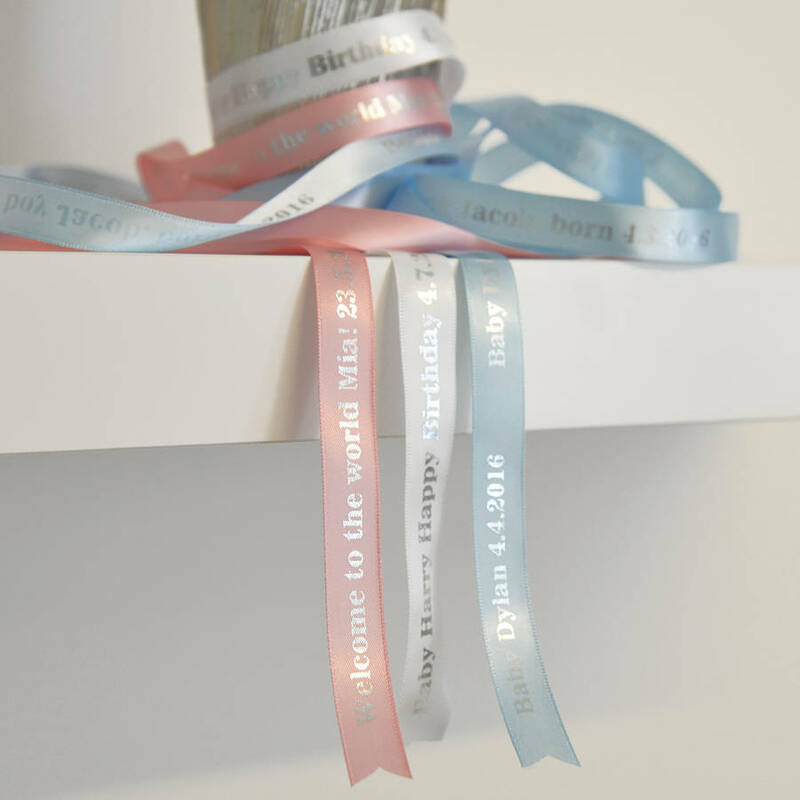 Personalised ribbon with your choice of text. 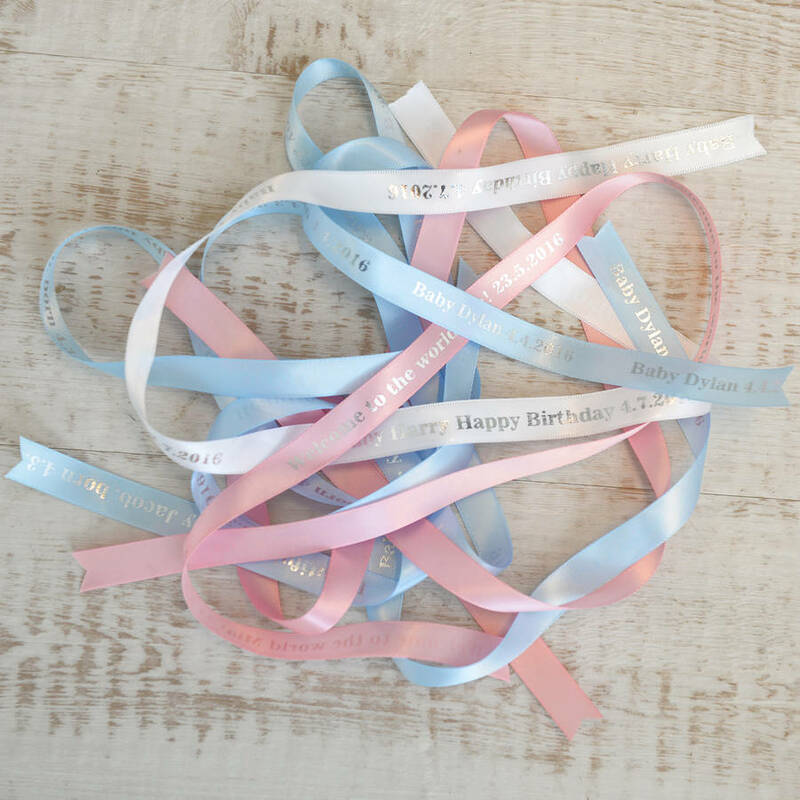 The ribbon comes in: White, Baby Blue and Baby Pink and will be printed with Silver text. 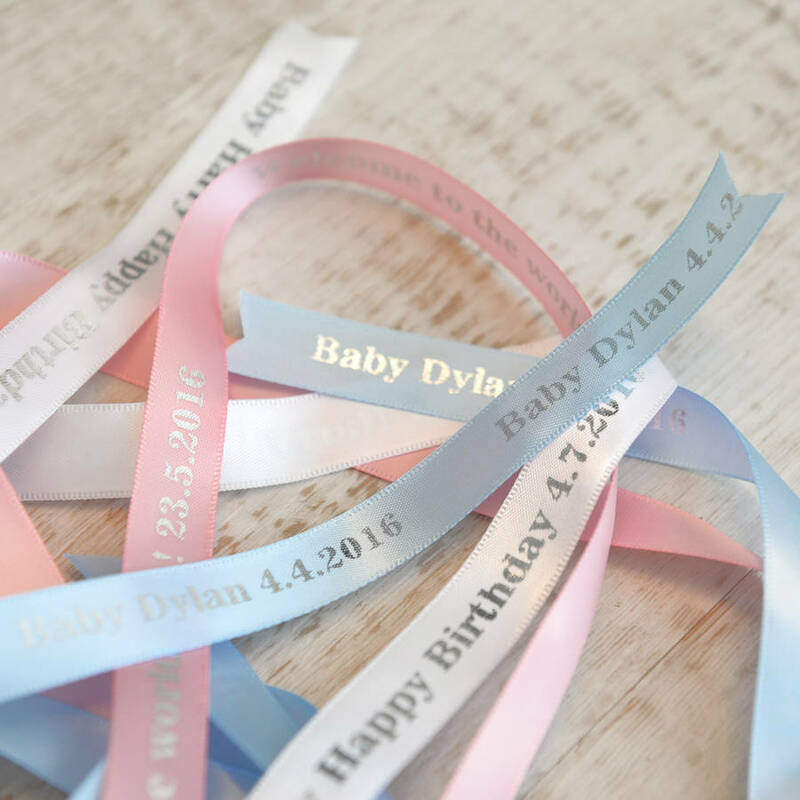 The text can be printed in both uppercase and lowercase and will be printer exactly as you type it. The text repeat will be determined by the length of your personalised message. Satin ribbon with a silky texture. 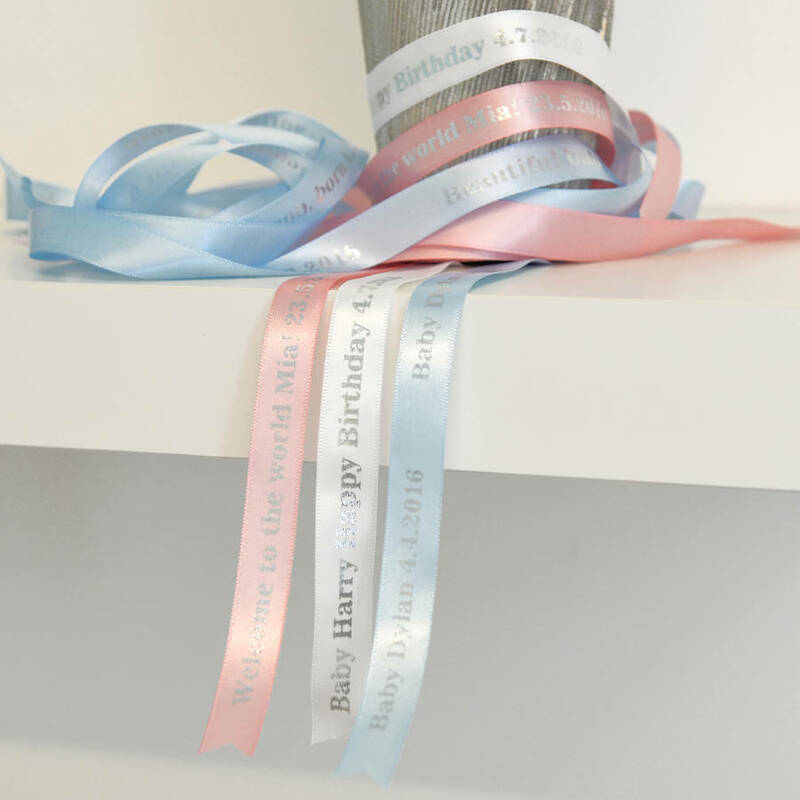 Available in 1m, 3m, 5m, 10m, 15m, 20m, 25m, 30m and 50m lengths, also longer lengths are available on request. 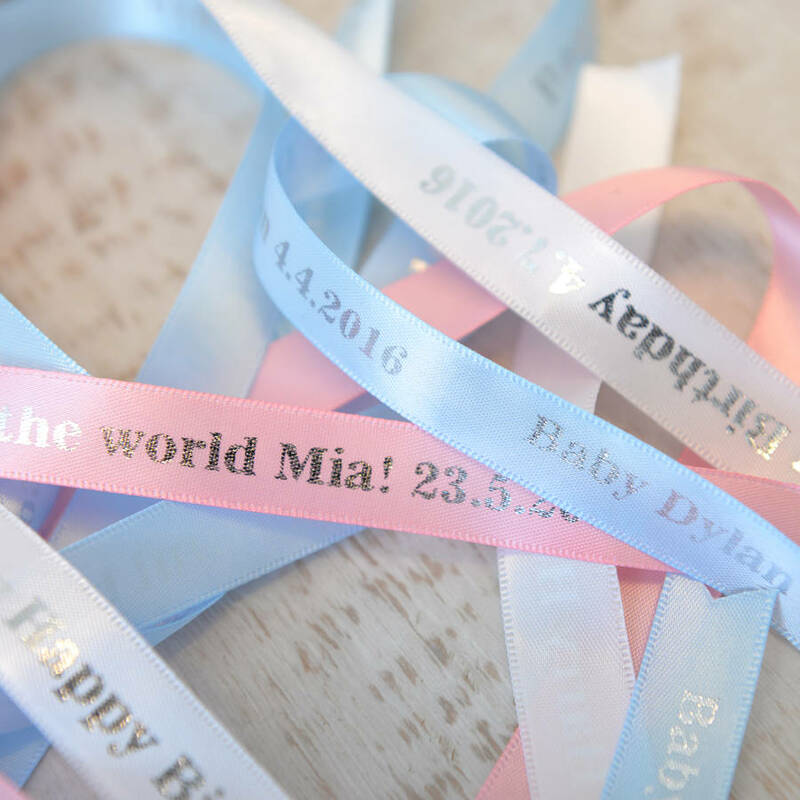 The ribbon is 15mm in width. 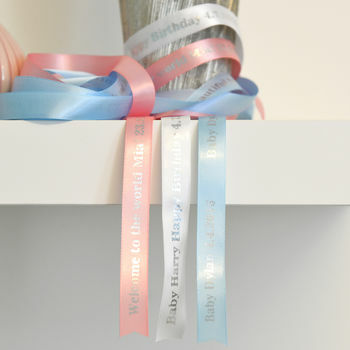 For longer lengths, the ribbon may be printed in more than one peice. 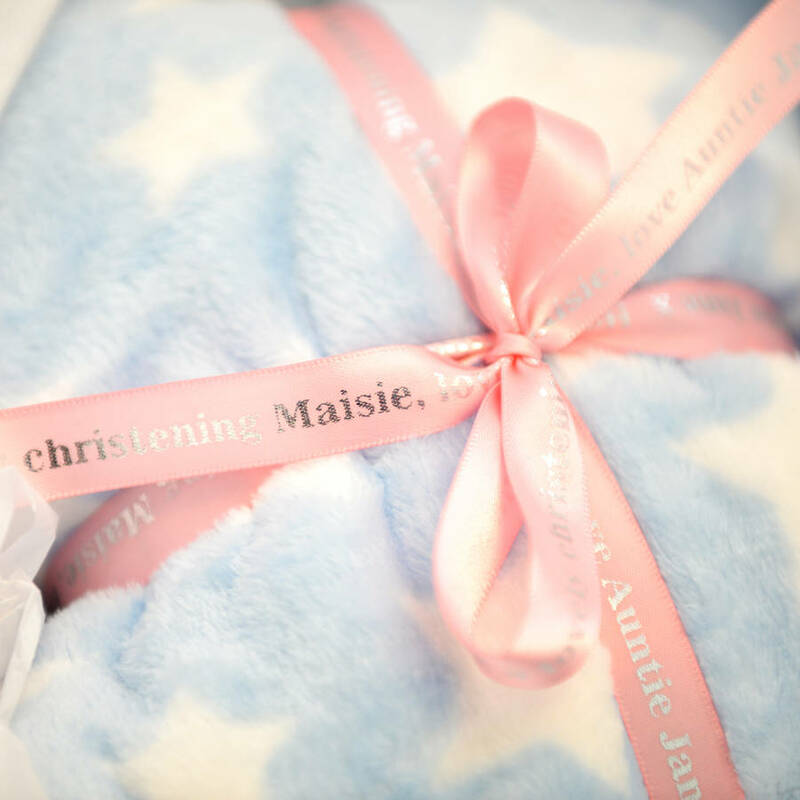 This product is dispatched to you by A Type Of Design.